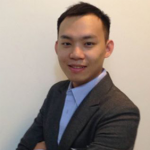 With 8 years of experience as digital marketing professionals, expanding roles from planning, buying, optimization, and analytics, Edwin’s credential are one of highly regarded expert in the digital marketing world. His passion in innovation and learning has evolve his client’s businesses and employer achieve success and drive ROI. In his current role as Client Partner at Facebook, specialized in E-Commerce, he has helped many business grow from ground up to scale through Facebook solutions.